I try to limit the amount of "air-time" I give to my family in these weekly notes, but this week I couldn't resist. We had our whole family up at Lake Hartwell for Memorial Day weekend. The weather was supposed to be a washout, but Saturday and Sunday turned out to be delightful. 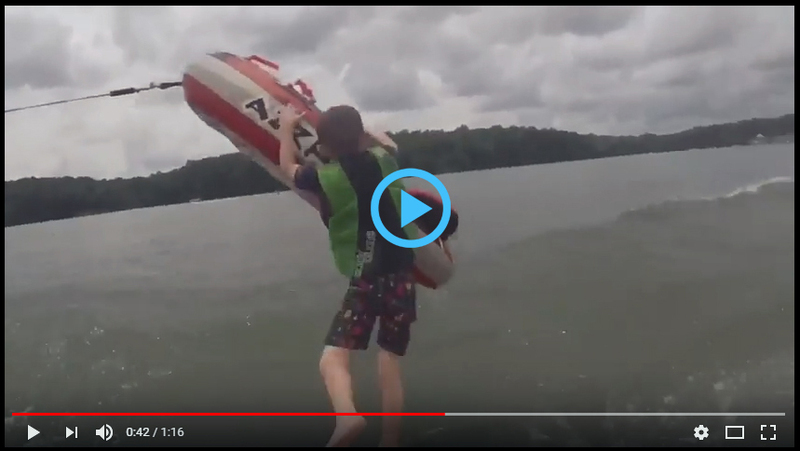 Our older grandkids have always enjoyed tubing, but this year, 2-year old Caroline got in on the action, and our 7-year old Evan definitely got his share of "air-time". We have been using the Airhead Gforce 3 tubes for over 10 years. We love the size and durability. Check out this short video that Trey, my son-in-law, put together.